Charas has been enjoyed for thousands of years in countries around the world. With a little perpetration, you can make this concentrate at home. Originally discovered in India and the Himalayas, where cannabis plants often grow wild, charas, a special kind of cannabis concentrate, can now be found in countries all over the globe. 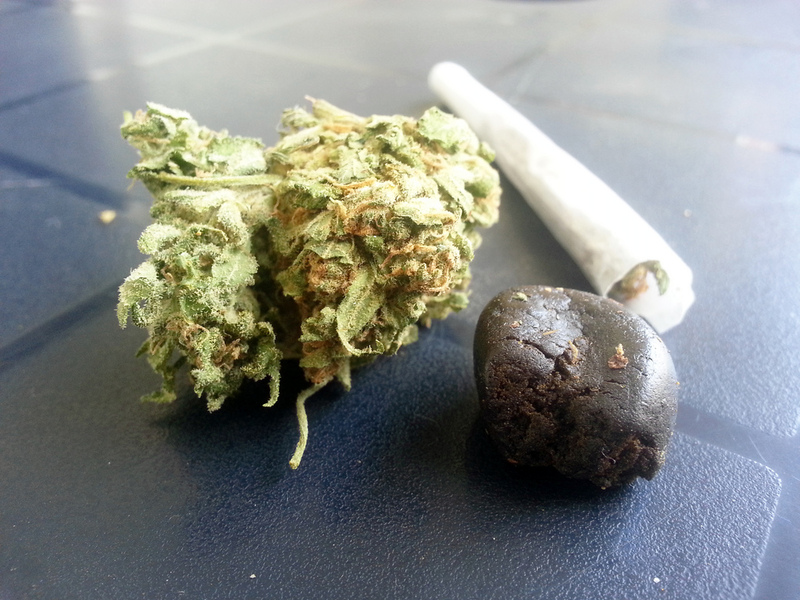 Regions of Pakistan and Afghanistan have embraced the hash-like residue, and even coffee shops in Amsterdam are beginning to carry the potent product. If charas isn’t available in your country yet, don’t worry. This classic extract is simple to make and completely natural, adding to its international appeal. For thousands of years, cultures in India have enjoyed this heavy high, and now you can, too. Creating it is simpler than creating any other forms of concentrate, but it is definitely messier. Timing is a crucial element in making this product, but if given the right attention, charas can leave even the most experienced users with a high like no other. To begin the formation process, flowers are picked two-three weeks before they would be ripe enough to be smoked. The buds are smaller and more delicate than fully matured ones, but they also have an insane amount of THC crammed into a tiny space. Ripe buds are okay, too, they just require more rubbing time during the next step. Right after picking, some leaves are trimmed away from the plant and a large portion of the stem is left attached, to allow for easier handling. Next, buds are rubbed between hands slowly, with speed gradually increasing; the slower the strokes, the higher the quality. Very soon, the herb will start to release oils and tar-like residue all over palms and fingers. Charas is the black substance leached from the plant material. The trick is to gather all this concentrate together on the thumb, squeezing the bud to release any remaining THC, and forming it into a tiny ball. The only thing left is to enjoy the fruits of all that hard, hand-rubbing. When enough charas is gathered together, it is often formed into ropes or braids, to prevent drying. This technique also helps to create uniform doses, so each time the same size piece is smoked, the same high is delivered. 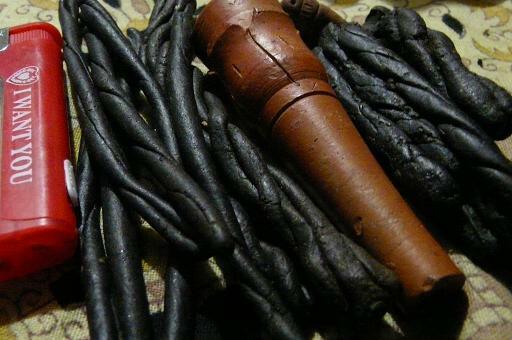 Traditionally, charas is mixed with tobacco and rolled into a cigarette. For those of us who don’t use tobacco products, charas could just as easily be rolled into a joint or blunt, delivering a most intense high. Remember to always start low and go slow; you can always smoke more, but you can never smoke less. Even heavy users might be surprised by the powerful potency of this simple cannabis extract. If charas isn’t available at a local dispensary, it can be worthwhile to try making some at home. The process is unbelievably simple, and with some tough scrubbing, extra-strength soap, the mess shouldn’t be too hard to clean up. Decades of charas users would agree, the work is more than worth the reward. Have you ever used or made charas? Let us know on social media or in the comments below.